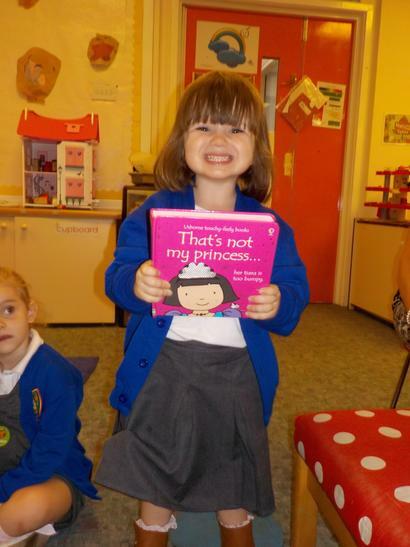 In Nursery we start the Academic year with the All About Me theme. 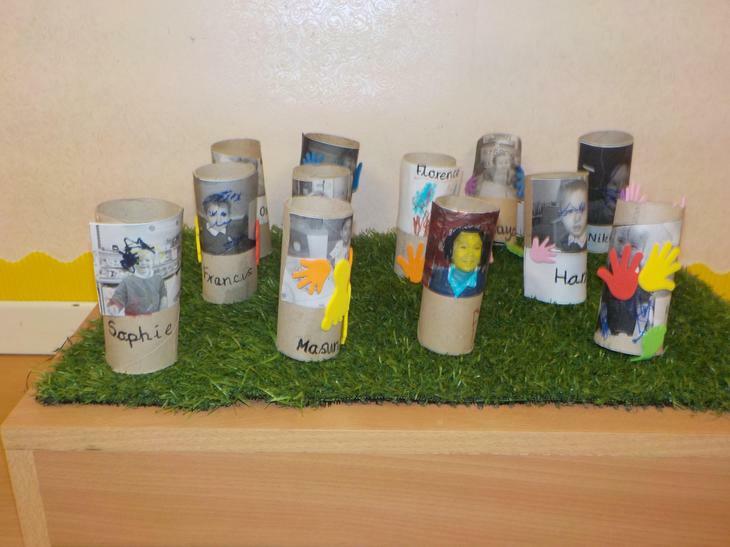 We painted our portraits, made collage faces, as well as making our class of tube people. 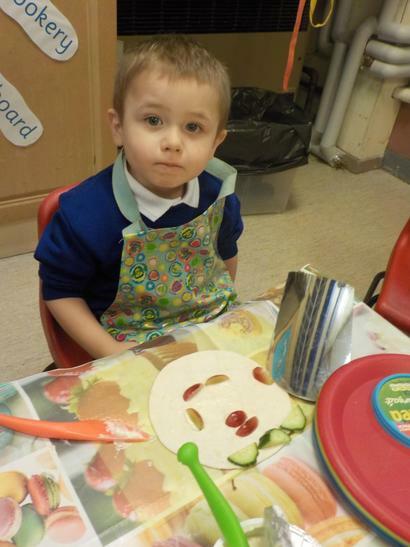 During cooking time, we made face wraps, using tomatoes, blueberries, cucumber and peppers, then enjoyed eating them. 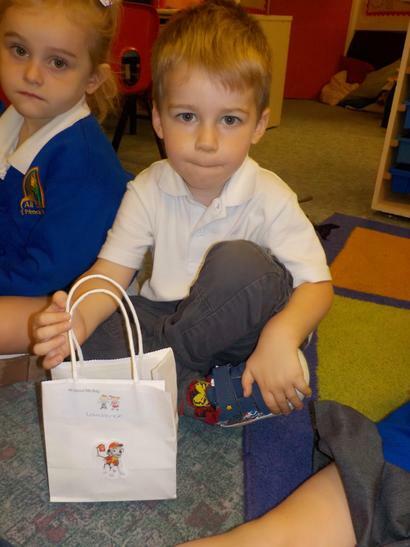 We asked each child to bring in a bag of five things that I like. In this way the teachers can find out what interests our children. This helps when we are planning. 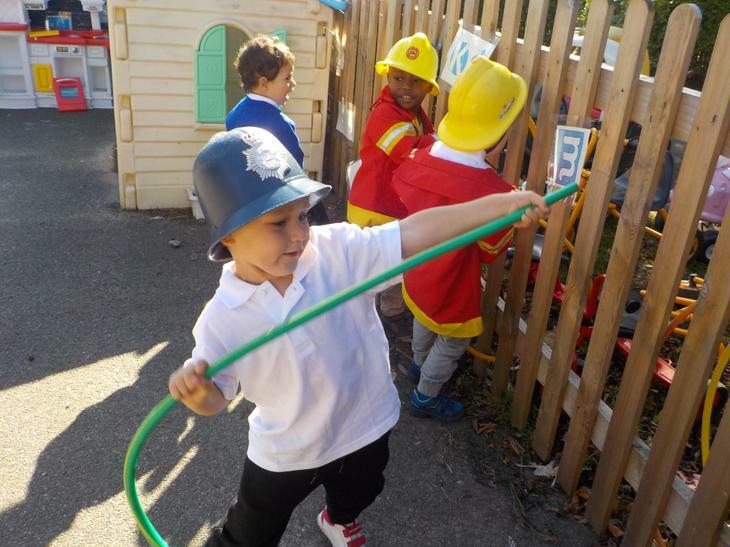 As a result of talking with our children we realised they would love to dress up as fire and police, so we set up an Emergency Centre and now lots of emergencies are being dealt with. 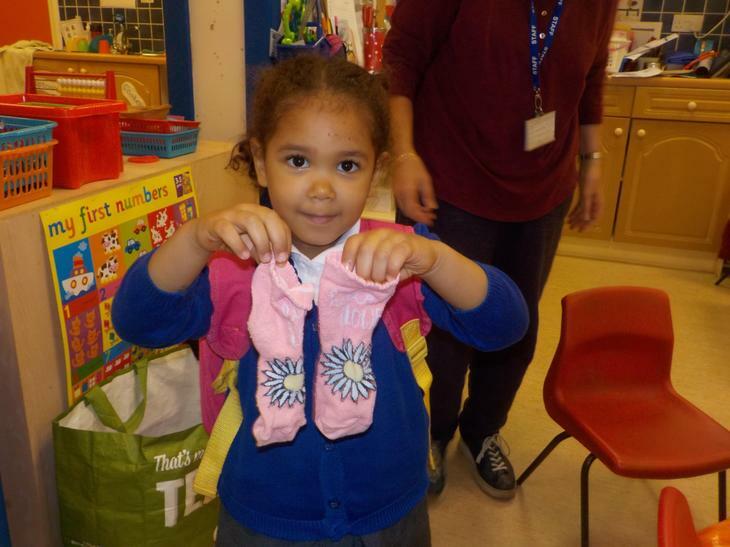 We have been talking about our favourite colours, toys, socks and books. Over the next few weeks we will be talking about who is in our family, where we live and what pets we have. All of these things give us an insight into our children. We will also be talking about how clever we are and all the things we can do, such as wash our hands, sing a song, ride a bike. These will be displayed on our “I can….. “ wall.